The Metropolitan Museum of Art and Times Square are good opportunities to explore the local culture. And it doesn't end there: make a trip to Central Park, explore the world behind art at The Museum of Modern Art (MoMA), examine the collection at New York Public Library, and appreciate the history behind Statue of Liberty National Monument. To see traveler tips, where to stay, maps, and other tourist information, read our New York City holiday planning site . Montevideo, Uruguay to New York City is an approximately 17.5-hour flight. You can also do a combination of flight and bus; or do a combination of flight and train. You'll gain 2 hours traveling from Montevideo to New York City due to the time zone difference. Prepare for a bit cooler weather when traveling from Montevideo in April: high temperatures in New York City hover around 19°C and lows are around 8°C. Finish your sightseeing early on the 12th (Sun) to allow enough time to travel to Orlando. Get outdoors at Discovery Cove and Andy Romano Beachfront Park. Pack the 14th (Tue) with family-friendly diversions at Universal's Islands of Adventure. Have a day of magic on the 16th (Thu) at Walt Disney World Resort. There's still lots to do: explore the world behind art at Charles Hosmer Morse Museum of American Art and discover the magic at Happily Ever After Fireworks. To find other places to visit, reviews, where to stay, and tourist information, read our Orlando road trip planner. You can fly from New York City to Orlando in 6 hours. Other options are to do a combination of bus and flight; or drive. Traveling from New York City in April, you will find days in Orlando are much hotter (34°C), and nights are a bit warmer (21°C). Finish up your sightseeing early on the 16th (Thu) so you can travel to Miami. 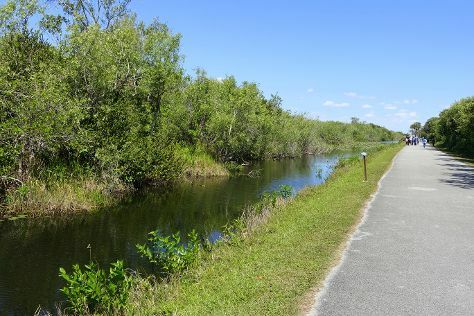 Take a break from the city and head to Shark Valley and Everglades National Park. Your itinerary includes some good beach time at South Beach and Haulover Beach Park. Explore the numerous day-trip ideas around Miami: JP Outfitters Inc. (in Hollywood) and Everglades National Park (Pineland Trail, Gumbo Limbo Trail, & more). There's lots more to do: enjoy some diversion at Lock & Load Miami, explore the different monuments and memorials at Charlotte Jane Memorial Park Cemetary, and take a memorable tour with Tours. To find reviews, traveler tips, more things to do, and more tourist information, refer to the Miami trip planning app . You can fly from Orlando to Miami in 3.5 hours. Alternatively, you can drive; or do a combination of flight and train. Expect a bit warmer evenings in Miami when traveling from Orlando in April, with lows around 25°C. On the 22nd (Wed), you'll travel back home.